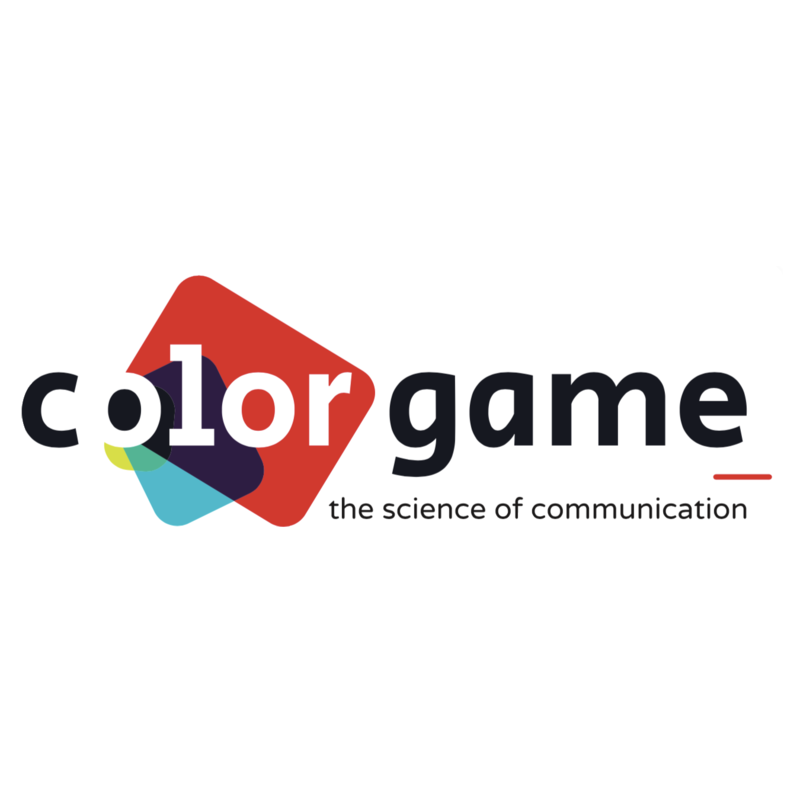 Last week, the Color Game, the first smartphone app specifically designed to study the dynamics of language evolution was launched by our team at the Max Planck Institute for the Science of Human History. This blog will follow the development of the Color Game project. In this first post, we first take a closer look to its characteristics from the players’ point of view, and to the features that makes it a realistic playground for the study of language evolution. At the core of the Color Game is a standard referential communication task. Players can either play as Sender or Receiver (Fig. 1). The game is played by blocks of 10 puzzles, at the end of which both Senders and Receivers can earn points and receive feedbacks on the success of their communication. For each puzzle played in Receiver’s mode, players are presented with four colours (among 32 possible hues) and a message made of black and white symbols (Fig. 2) indicating the target color. Series of 10 puzzles are composed by other players on Sender’s mode and are meant to make the Receiver pick the right color for each puzzle. On Sender’s mode, players are free to use the symbols freely, but are not always aware of the four colours of the Receiver’s array. Depending on puzzles, they can either see 2, 3 or 4 colours when composing their message. The game leaves players free to choose their partners allows for both “synchronous” (in real time) and “asynchronous” play. Synchronous play requires the two players to contact each other and stay connected for as long as they play, and allows for interactional communication, such as repair. In asynchronous mode, players can choose at any time who they want to play with. Fig. 1. A trial in synchronous mode. 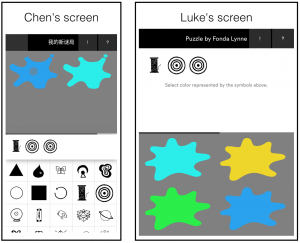 Chen (Sender) communicates with Luke (Receiver) to help Luke find the target color (here, the darker shade of blue), marked for Chen by a dot. Fig. 2. 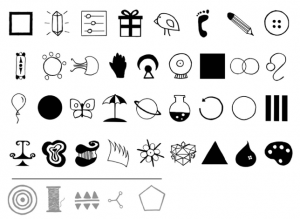 The 35 symbols used in the game (first four rows). 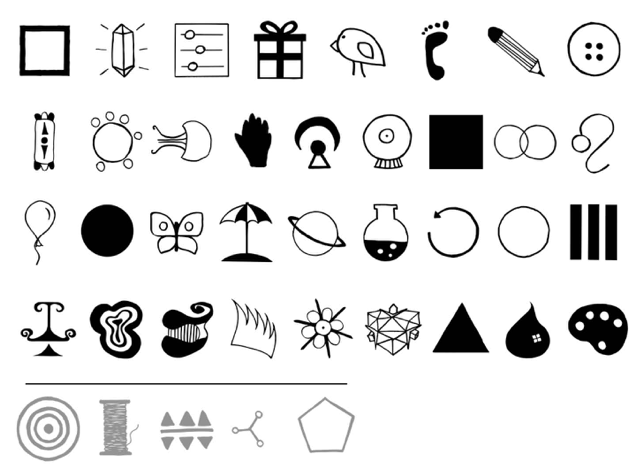 Bottom row, in grey: the five symbols used for the tutorial. The Color was designed to generate data for fundamental research on language evolution. The pool of players is divided into independent groups, which may create distinct codes, or languages, to solve the puzzles, mimicking the evolution of language. Since the game’s challenge precisely consists in establishing shared significations for a set of arbitrary symbols, it provides realistic conditions to observe how players manage to communicate more efficiently over time. The app format also opens new perspectives of data collection. It gets closer to the dynamics of real-life communication, by including key features of human interaction that are often difficult to maintain in laboratory conditions: synchronicity; open-ended transmission chains (where no limit is imposed on the number of participants and where agents freely choose whether to transmit a given content); partner choice dynamics, by which the most reliable partners to co-opt one another. This sets the ground for promising data on language evolution. The app can be downloaded from our website.